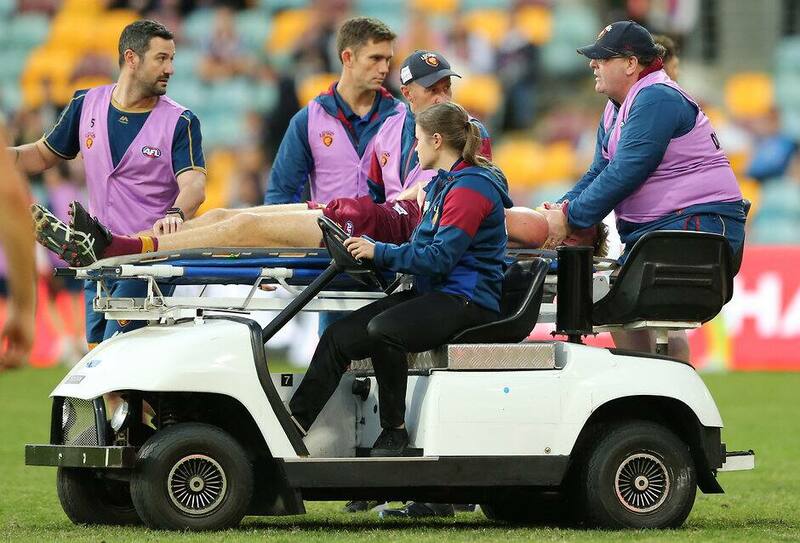 CONCUSSION has been thrust back on the agenda following the Harris Andrews-Jeremy Cameron collision last week, raising questions about what the AFL is doing to combat it at elite and community levels. Andrews, who suffered a severe head knock early in Brisbane's loss to GWS, was stretchered from the ground as later revealed to have experienced bleeding on his brain. Andrews will possibly return to training in two weeks but will be monitored extensively to ensure there are no risks taken with his recovery. This is reflective of the ever-increasing importance placed on concussion research by the AFL, who spend over $250,000 a year on research to better understand incidents like this. AFL clubs have come a long way in their treatment of concussion, even compared to just 10 years ago when it was common to see players who had been knocked out return to the field to play. Clubs are now far more conservative when dealing with concussions than ever before, with stricter match-day concussion protocols, enhanced ability and access to highly trained doctors and neurologists, as well as rule changes helping lessen the adverse effects of concussion. One of these match-day protocols is the addition of a Hawkeye vision system which doctors have access to on the bench of every AFL match. Implemented by the AFL, this innovation allows club medical staff to analyse an incident from multiple angles, providing the best possible insight into potential signs of concussion after any head knock. It’s not just at the elite level that change is afoot. The AFL is also taking considerable steps to address concussion concerns in junior football all over the country. This is where the introduction of a brand new free app called ‘Headcheck’ comes into play. Experts from the Murdoch Children’s Research Institute have teamed up with the AFL to create the app, which aims help to coaches, parents and trainers to recognise and manage head knocks in young footballers. It also provides education on questions like when a child is ready to return to school and sport following a head knock. The HeadCheck app is being launched nationally through AFL Junior Community Leagues and is available to download from the Apple and Google Play stores.